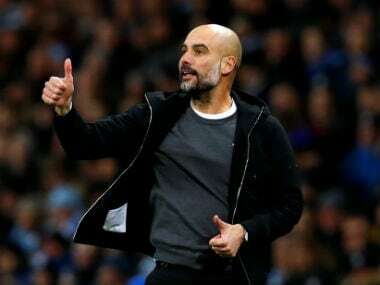 Manchester: Pep Guardiola is not concerned about the way his Manchester City players use social media, despite a post from Kyle Walker that appeared to mock Premier League title rivals Liverpool. Walker posted a picture of Harry Maguire on Twitter after the Leicester defender’s equaliser secured a 1-1 draw at Anfield on Wednesday, meaning that Jurgen Klopp’s side lead City by only five points, rather than seven. The tweet was based on a picture that became a popular social media meme during the World Cup, featuring Maguire leaning over a fence to talk to his fiancee. Walker tweeted the picture after Wednesday's game with the caption: "So basically, they thought they were gonna go seven points ahead." The City defender quickly deleted the tweet after receiving criticism but Guardiola suggested it was not an issue with him. "I don't control them. 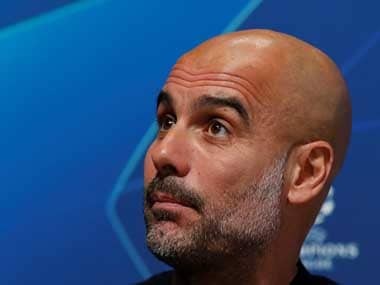 I'm not concerned about tweeting or Instagram because I can't control it," Guardiola said at his pre-match press conference on Friday. "I don’t think it gives Liverpool extra motivation because of one tweet. The opponents do many things against us and nothing happens. The motivation is our game and that is what we have to do," he added. 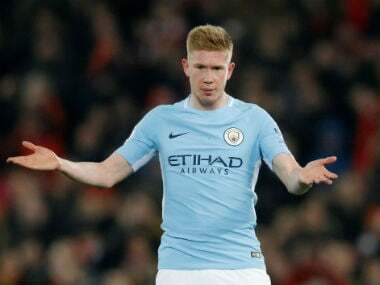 City faced the prospect of slipping seven points behind Liverpool after a surprising 2-1 defeat at relegation-threatened Newcastle on Tuesday, and Guardiola has told his players that he expects a significant improvement when Arsenal visit the Etihad Stadium on Sunday. A victory over Unai Emery's side would put them two points from the top of the table, as Liverpool do not play until Monday, when they visit West Ham. "Of course we analyse our game to see what we have to improve on. It will be different against Arsenal. We analyse what we've to do and don't repeat what we did in the last game," said Guardiola. 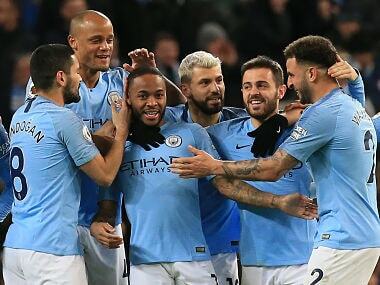 City face a busy Premier League week as they attempt to reduce Liverpool's lead, with the Arsenal match followed by a trip to Everton on Wednesday and a home fixture against Chelsea the following Sunday. Guardiola is confident that City have what is required to cope with such a demanding schedule. "It's the same situation as it has been in the last two or three months. It happens and it's not new," he said. "It's the only way I know, that after a negative result we need to focus on the way we play and the mentality. We have to say: 'OK, it's February 1. There are a lot of points to play for and many things can happen,' said the Spaniard. "The situation is simple, we improve the way we play, and with the details, we didn’t do well, we have options to change that. It's not new. The players know that," he added. France defender Benjamin Mendy is back in training as he continues his recovery from a knee problem but is not expected to feature against Arsenal. Mendy returned for the League Cup semi-final second-leg victory at Burton on 23 January after more than two months out but reported swelling after the game and has not played since. Guardiola said: "Really, I don't know. After the minutes he played against Burton away, he had two or three days where he could not train. In the past two training sessions, he was able to train, and we will see day by day."